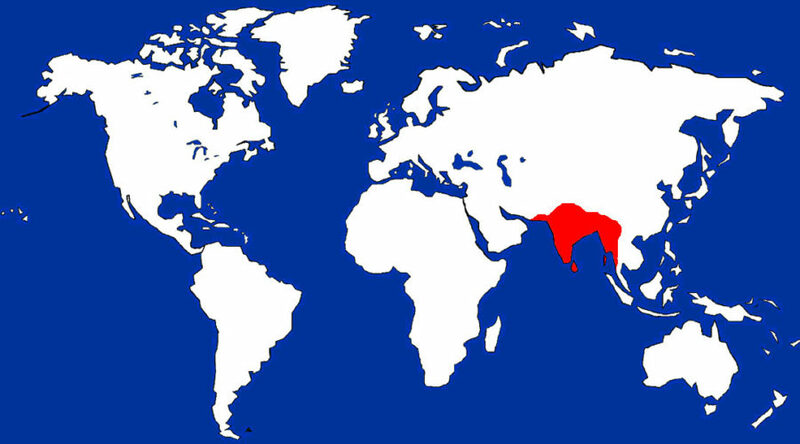 Pakistan, India, Nepal, Burma, Bhutan, Sri Lanka and Maldive Islands. Rainforests, especially near bodies of water. Wild: Fruit juices and pulp, occasionally insects. 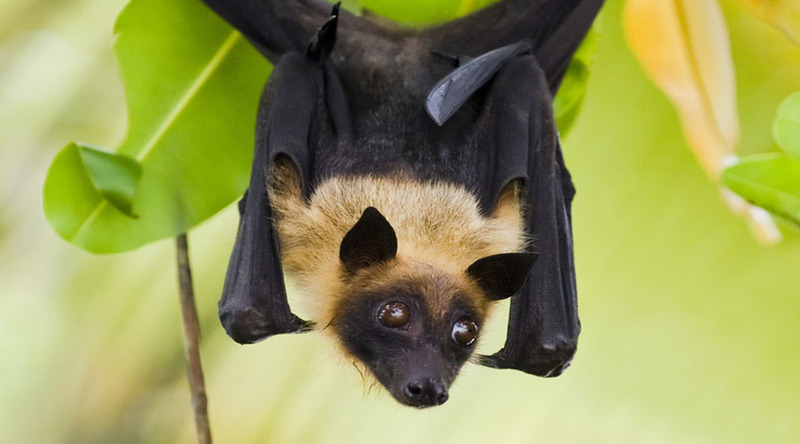 About the Animal: This large, fruit-eating bat is one of the largest in the world. With a wingspan of more than 4 feet, it moves through the jungles of India with ease, in search of ripe fruit to eat. Like many bats, they spend their days resting among the tree limbs, roosting in VERY large colonies of 800 – 1,000 individuals. The large communal roosts are called ‘camps’ and can be easily found by listening for the noise and the distinctive, musky odor of fruit bats. Bats are an important part of seed dispersal mechanisms for several fruit trees. The seeds pass through the digestive system quickly and undamaged. When the bat moves through the forest, the seeds are expelled and are spread throughout the forest. Flying foxes are attracted to orchards when fruit is difficult to find in the forest. Because they ruin far more fruit than they eat, many orchard owners consider them pests. These bats are also killed for food and for their fat, which some claim is a cure for rheumatism, and for the meat. Mating and Reproduction: Gestation for these large bats is 5 months – a long time considering the size of the animal. Infants are born fully furred with eyes open and are able to cling to their mother’s fur right away. Fruit bats do not form lasting pair bonds, and the male provides no assistance in child rearing. Amazing Information: Baby Flying Foxes are born feet first so they are ready to grab onto their mother immediately.